The kakistocracy’s media arm loves using a neuro-linguistic programming (NLP) slide to describe Euro-skepticism, opposing weaponized migration. censorship, and the debt slave model. Slides, as regular readers know, are terms used to shut down the mental processes of non-thinkers aka pajama people. The usual suspects tag the emergence of the “Forum for Democracy” (Forum voor Democratie, FvD) led by Thierry Baudet in the Netherlands with the slide “far-right party”. When being a little more polite they use “populist”, which to our less brainwashed ears has a nice ring. But then the slide comes out again by combining the words “far-right AND populist”. But the slide is losing its luster. Neth-Exit party FvD has emerged as the big winner in last week’s provincial elections in the Netherlands. They won the largest number of votes throughout the Netherlands, and will take 12 seats in the Dutch Senate in May. Regional elections in Abruzzo and Sardinia, Italy have confirmed the Dutch results. Lega, the “populist right” party, made significant gains in both regions, demonstrating it enjoys popular support beyond its traditional strongholds in the North. The EU Parliament elections are in May. The question is to what degree the Euro-skeptic “Populists” will gain. The FvD “surprise” suggests a pattern of in-the-closet support. Because of the tawdry tagging and slides, voters keep their true leanings quiet. Therefore Winter Watch predicts the results will significantly exceed the polls. Italy isn’t the only country where populism is strong. Italy is one of the heavily debt-saturated countries that has flown under the radar. With a debt to GDP of 133%, Italy is in a debt trap. It has avoided its day of reckoning because it has a bankster mole, Mario “Big Ponzi Unit” Draghi, who runs the European Central Bank (ECB). Big Ponzi Unit Mario has arranged for the privately owned ECB to lard on a variety of Italian insolvent debt securities, including Italian sovereigns. It is the next economic downturn that will kick off the real fireworks. Italy’s refinancing needs are 277 billion euros in 2019, 197 billion euros in 2020 and 181 billion in 2021 according to Reuters data. If Italy were to exit or openly revolt against Brussels, this Ponzi unit would be obliterated. For Italy (or any debt trapped EU country), an exit would be much like when Germany refused to continue making Versailles Treaty reparation payments. Nationalists should take note of the familiar sequence of kicking-the-can-down-the-road restructurings in that period. In 1924, an American banker named Charles Dawes outlined what came to be known as the Dawes Plan, a new reparations agreement under which U.S. banks such as J.P. Morgan issued bonds to private investors on behalf of Germany. But when the first batch of bonds came due in 1928, Germany again defaulted. So in June 1929, a new plan was enacted, floating more U.S.-backed bonds and reducing Germany’s payments to $28 billion paid out over 59 years. In the current version of this scam, The ECB admits: “Incoming data have continued to be weak, in particular in the manufacturing sector, reflecting the slowdown in external demand compounded by some country and sector-specific factors,” the statement says. Instead of admitting that its radical experimental in Parasite Guild monetary policies were a colossal error as the economic growth is now dwindling despite or because of the stimulus, the ECB does the opposite. It promises new bank liquidity programs in the Eurozone which is already drowning in central-bank liquidity, to get banks to lend more to these zombie banks and companies and prevent them from restructuring their debts. Restructuring involves haircuts aka acknowledging losses for the Parasite Guild and other richest 1% creditors. To that, S&P might just as well add the levered-up sovereigns that have back stopped all this highly leveraged credit and banking caca. The sovereign collapse will be like a backed-up toilet or sewer. After suffering a big Depression and horsing around trying to pay off and service bankster debt, a nationalist “less cooperative” party came to power in Germany and effectively carried out an “exit.” Despite all the predictions of doom, in 1933 the “Nazis” unilaterally cancelled all reparations and Germany’s economy began to “miraculously” recover. This move was combined with kicking the central bank out of Germany and going with a Treasury issued, labor back currency. A repeat of this natural process is the Bankster Cabal’s and kakistocracy’s biggest fear. 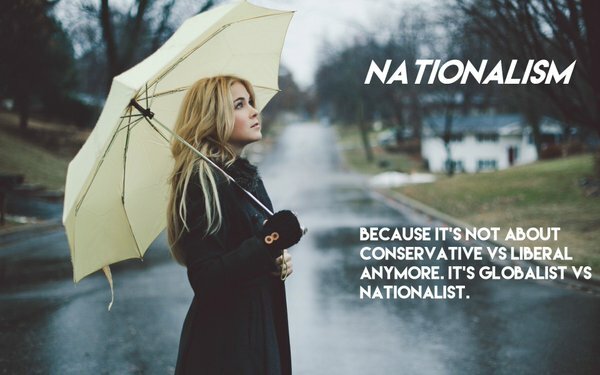 This is one reason that nationalist or exit movements are being called “Nazis” and “racists” by the Cabal, its hack media and Crime Syndicate mouthpieces. It is also why people like Soros and Rothschild are predicting doom and damnation for those who dare to exit. History does repeat itself. The example of Greece in the last few years illustrates why conducting Dawes-like debt restructuring doesn’t work. This also shows that left wing politicians tend to be in the pockets of bankster cabalists. Only the so-called right-wing parties in Greece and Italy are telling the Cabal to go f–k themselves in the manner of Germany in 1933. In reality, this is third-position politics — not right wing politics. Thinking third position nationalists should be supporting both exits and in the uproar liberation from the money masters. Third-position nationalists should also bring in strong leadership that resists privatizations and asset seizures. A good historical example of this were the Peronistas in Argentina. In Greece, the Cabal stooges and “Dawes Plan” sell outs of the pseudo-left “Coalition of the Radical Left” (Syriza) and its right-wing bankster-backed allies, the Independent Greeks (Anel), should be tossed out and replaced with the Third Position, Golden Dawn and other euro-skeptics. Spain’s leftist Podemos are just more rehashes of Cabal-owned retro Dawes Plan. Read: Spanish Wildcat Finance to Trigger Bust? This will be a difficult struggle, and only these groups have the fortitude to try and stand up to the Cabal debt enslavers. There are also third-position socialists that we should ally with in this campaign, so it is important not to let the right-left Cabalist construct rule the narrative. I am more interested in the theories of economist Gottfried Fedor, and his influence in the early recovery years of 1933-35. As the link below shows, In actuality Germany did little rearming until 1937, and up until then was not yet a guns and butter economy. The notion that Germany recovered on military spending is a myth. 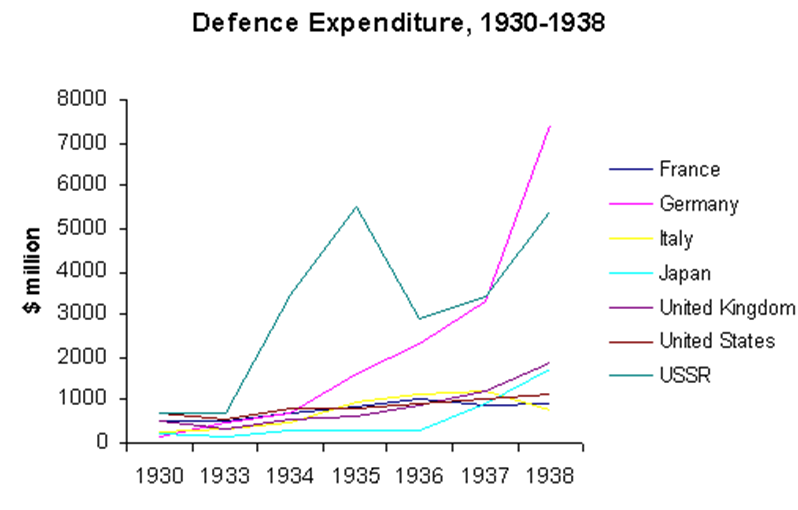 Military spending in 1933-1935 and even 1936 was minuscule. At the end of 1936 Germany was still a weak unarmed country. France started an arms race and badly outspent Germany in armaments from 33-37. Even in 39 when Poland was attacked, Germany was only equipped for short regional war. When military spending finally took off in 37-39 there was internal grumbling and blow back and it became a drain on the economy.